I want to take some time to wish everyone a very Happy Easter! I don’t know what your long weekend is like, but here in Ontario, we not only get Good Friday off school, but we also get Monday off. My hubby is off as well, which makes a perfect 4-day weekend. It means we’ve done lots of visiting family and enjoyed some yummy meals, but we’ve also had a chance to celebrate in special ways, with two church services. This holiday is super special to me; the time we spend thinking about Jesus’ sacrifice on the cross is always an emotional time for me. Yup, I’m often in tears during our Good Friday service. But, it’s also so exciting when we get to rejoice in His resurrection on Sunday morning! Sunday morning, I’ll have the privilege to participate in an Expressive Arts presentation. We’ll do some really neat moves/sign language/liturgical dance to this song, I Am, by Eddie James. I know, you want to get to the artwork. If you follow my Facebook page, you’ve already seen this. I loved the layers in this frame I bought at Dollarama. Stay tuned. 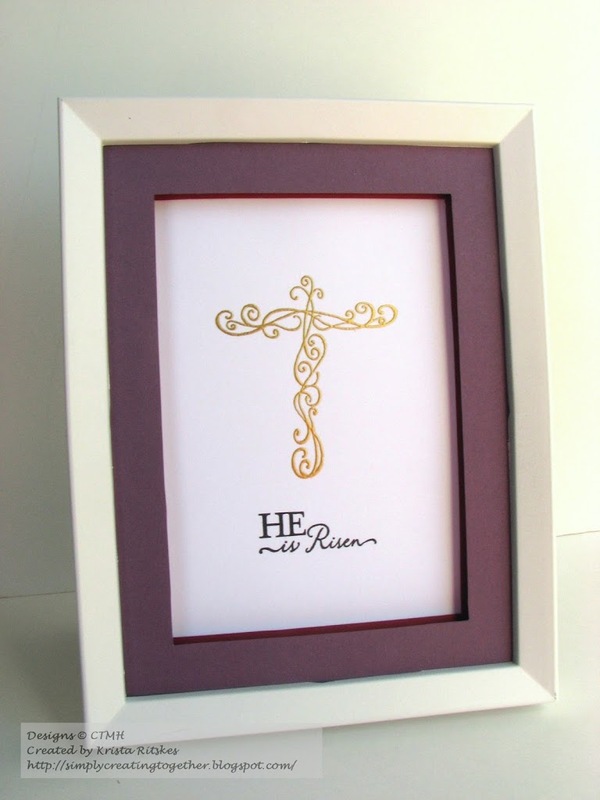 My next post, for the Stamp-of-the-Month Blog Hop uses this frame, too! Happy Easter and Happy Creating!